2018 Varsity Football - Est. 1914 < 105 years > - Cardinal Athletic Alumni Association, Inc.
49 – 0 2 – 0 (H) DC Everest H.S. Number Name Grade Position Ht. Wt. The Large School All-State Team will consist of a minimum of 40 total players, while the Small School All-State Team will consist of a minimum of 30 players. Wisconsin Sports Network and WisSports.net are happy to announce Fond du Lac’s Andrew Stone as the 2018 recipient of the Joe Thomas Award as the most outstanding senior offensive lineman in Wisconsin, part of the WSN Senior Football Awards. Stone is a two-way interior standout who is the most devastating trap blocker in the state. He’s not content to just block someone when he pulls around, he looks for the de-cleater, and often delivers. Stone was a First Team All-Conference pick in the VFA-South as an offensive lineman the past two seasons, adding league Offensive Lineman of the Year recognition this year. The Wisconsin Football Coaches Association recently selected Stone as a First Team All-State choice. He’s an elite track and field athlete, winning the shot put and taking second in the discus as a junior. The Large School All-State Team will consist of a minimum of 40 total players, while the Small School All-State Team will consist of a minimum of 30 players. Final voting for the players selected to All-State will be made by District Reps, who will vote for either Large or Small School athletes depending on their own school size. Now, there will be four Regions, but with a Large and Small for each. The new regions will be Region 1-Large, Region 1-Small, Region 2-Large, Region 2-Small, Region 3-Large, Region 3-Small, Region 4-Large, and Region 4-Small. Every conference in the state is assigned to one of these regions. Titan Stadium will be buzzing Friday night with what many state high school football enthusiasts consider the biggest playoff game in decades – Fond du Lac vs. Kimberly. You already know the story: The top-ranked Cardinals (12-0) take on the five-time defending state champion Papermakers (11-1) in a rematch of Week 1, a game where Fond du Lac ended Kimberly’s state-record 70-game winning streak. There’s the added layer with Fond du Lac coach Steve Jorgensen being the former Kimberly coach and Kimberly coach Steve Jones, his former assistant. Kimberly enters the game off a 38-20 win over previously undefeated Bay Port. The Papermakers have tremendous balance, with a three-headed rushing attack of Will Fischer, Caleb Frazer and Alec Martzahl to go along with a passing attack led by Cody Staerkel, who has thrown for 2,512 yards, 27 touchdowns and only three interceptions. Fond du Lac counters with an offense that has put up incredible numbers on the ground: 4,251 yards rushing and 58 touchdowns. Eben Sauer leads the team’s rushing attack with 1,595 yards on 159 carries (10.0 average) and 16 touchdowns. Senior quarterback Carson Raddatz has rushed for 1,088 yards (7.7 average) and 17 scores. He’s also made big plays in the pass game, throwing for 12 touchdowns with four picks. Zavier Ellis (91-799-13) is also a threat in the run game, with Sauer averaging 16.4 yards per reception with six touchdowns. Fond du Lac has lost in the postseason three of the past four years to Kimberly, including tight games the past two years: 28-21 in 2017 and 32-29 in 2016. FOND DU LAC – From 224 Wisconsin football teams down to 28, the Fond du Lac Cardinals and the St. Mary’s Springs Ledgers are the final two local teams alive entering the semifinals of the WIAA playoffs. Both teams are top-ranked. Both teams are undefeated. And both teams have experience in the playoffs. For Fond du Lac coach Steve Jorgensen and his team, the semifinal game against Kimberly will be a rematch of a tough loss last season. In Week 3 of the 2017 playoffs, the Papermakers defeated the Cardinals 28-21. Kimberly went on to beat No. 1 Sun Prairie in the Division 1 state title game 27-7. This year, No. 1 Fond du Lac defeated Kimberly in Week 1 of the regular season, winning 31-28 at Papermaker Stadium. It would be Kimberly’s only loss this season. After the Cardinals’ 28-22 second-round playoff win against Arrowhead, Jorgensen said to expect no change from his team — that includes the tough run game. The two-headed monsters of seniors Carson Raddatz and Eben Sauer lead the run game, which has put up 4,251 yards and 58 touchdowns. “We’ve known each other our whole lives,” Raddatz said of the chemistry between him and Sauer. Fond du Lac is coming off a 33-7 win over No. 3 Sun Prairie. Under coach Steve Jones, Kimberly led the Valley Football Association-North Standings with an 11-1 record. The Papermakers have an evenly balanced offense, producing 27 passing and 24 rushing touchdowns. Junior wide receiver Connor Wnek leads with 48 catches for 856 yards and 12 touchdowns. On the ground, junior running back Will Fischer leads with 184 carries for 1,007 yards and six touchdowns. Friday’s semifinal matchup is at Titan Stadium in Oshkosh. At Fruth Field in Fond du Lac, WIAA Level 3 playoff game with Fond du Lac topping Sun Prairie 33-7. On Fond du Lac’s second play from scrimmage, senior running back Eben Sauer ran the ball 83 yards for the Cardinals’ first points of the night. Sauer accumulated two more touchdowns —running 7 yards for a touchdown in the third quarter and catching a 14-yard screen pass from senior quarterback Carson Raddatz in the fourth. The Fond du Lac defense was able to hold Sun Prairie, who had 54 touchdowns this season, to just one on the night — a 4-yard touchdown pass from Richie Gilles to Colin Schaefer. Fond du Lac also forced four turnovers. Next up for Fond du Lac? A rematch from a season-opening win against No. 2 Kimberly in the state semifinal game at Titan Stadium in Oshkosh. The Papermakers defeated top-ranked Bay Port 38-20. It’s a Cardinals showdown at Fruth Field where the No. 1 Fond du Lac Cardinals take on the No. 3 Sun Prairie Cardinals Friday night entering Level 3 of the playoffs. Despite some second half slowdown, the Cardinals run an effective, run-heavy offense that has totaled over 4,000 yards on the ground for 56 rushing touchdowns. Seniors Carson Raddatz and Eben Sauer are the two-headed monster of the run game. Sauer rushed 144 times for 1,392 yards and 14 touchdowns this season. Raddatz earned 1,058 yards on 129 carries for 17 touchdowns. “We’re really good friends. We’ve got really good chemistry,” Sauer said on the relationship between quarterback Raddatz and himself. The No. 3 Sun Prairie Cardinals defeated the No. 7 Hamilton Chargers 35-21 in Level 2 of the playoffs. Head coach Brian Kaminski and company finished the season with an 8-1 Big Eight Conference record, the team’s only loss being to Madison Memorial. The Cardinals are on a ten-game win streak, producing an evenly balanced offense with 27 touchdowns in the air and 27 on the ground this season. Senior wide receiver Cooper Nelson boasted 57 receptions this season for 1,000 yards and 13 touchdowns. 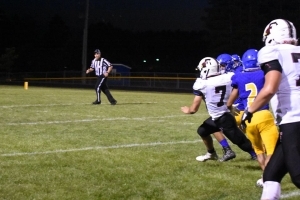 Junior Nathan Schauer led on the ground with 159 carries for 975 yards and 15 touchdowns. The winner of Fond du Lac vs. Sun Prairie will take on the winner of No. 1 Bay Port vs. No. 2 Kimberly. The Fond du Lac Cardinals continued their undefeated season with a win against the Arrowhead Warhawks 28 – 22 at Fruth Field on Friday night in a WIAA second-round playoff matchup. Fond du Lac will take on #3 seed Sun Prairie at Fruth Field next Friday. The top-ranked Fond du Lac Cardinals continued their undefeated season with a win against the Arrowhead Warhawks at Fruth Field on Friday night in a WIAA second-round playoff matchup. It was no surprise that the Cardinals’ two leading rushers were the first to score. Senior Carson Raddatz found senior Eben Sauer in the right corner near the end zone for the first touchdown of the night. Facing their first third down on the Warhawks’ opening drive, senior quarterback Nic Wohlfiel’s pass was picked off on a tip by senior Cardinals linebacker Adam Hopper, his second interception of the season. The Cardinals capitalized on the turnover. Following a fake to the left, Raddatz ran the ball in 4 yards into the end zone and Fond du Lac led 14-0 at the end of the first quarter. The dynamic duo of Raddatz to Sauer didn’t disappoint. In the second quarter, Raddatz found Sauer again for a 22-yard pass, moving the Cardinals into field goal range. Fond du Lac failed to make the kick, however, keeping the score at 14-0. The Warhawks made a little more noise in the second quarter. After junior wide receiver Robbie Symdon carried for over 20 yards, it was Wohlfiel to Symdon to the Fond du Lac 36-yard line. Wohlfiel would then fake right and run left down the sideline for 18 yards. After failing to get into the end zone, senior Seth Fohey completed a 37-yard field goal, Arrowhead’s first points of the night. As Raddatz stepped back to throw with just a few minutes in the half, he slipped and was marked down deep in Fond du Lac territory. A late hit by senior defensive lineman Jack Hazod produced a costly 15-yard personal foul against the Warhawks. Raddatz then showed off his arm with a 43-yard pass to senior wide receiver Johan Deitte, taking the ball to the Arrowhead 12-yard line. Raddatz would again run it in for the Cardinals’ third touchdown of the night. They led 21-3 at the half. Arrowhead would open the second half strong. On its opening drive of the third quarter, the Warhawks brought the ball downfield with the combination of Wohlfiel and junior running back Josh Nielsen. Senior wide receiver Davis Zeutzius would earn the first Warhawks touchdown of the night. It was 21-9 after a missed extra point in the third quarter. The Cardinals would swiftly march back down the field with a 61-yard touchdown run by junior running back Zavier Ellis, putting Fond du Lac up 28-9 in the third quarter. With a little over two minutes in the third quarter, Wohlfiel would hit senior wide receiver Avan Prange for a 28-yard reception into Fond du Lac territory. It was then Wohlfiel to senior wide receiver Jacob Schleicher, 33 yards into the end zone, and Fond du Lac led 28-15 late in the third quarter. Arrowhead quieted the Fond du Lac crowd in the fourth quarter. Wohlfiel found a wide-open Schleicher for the touchdown with about seven minutes to play in the game. Fond du Lac led by six, 28-22. The Warhawks’ sidelines went wild on the Cardinals’ next offensive drive. The Arrowhead defense was able to stop Fond du Lac, and Raddatz slipped, losing 5 yards and forcing the Cardinals to punt. With Arrowhead in Fond du Lac territory, junior linebacker Hunter Hansen made a crucial sack on Wohlfiel, forcing a third-and-20. The Warhawks would go for it on fourth down and were unsuccessful. Fond du Lac will take on No. 3 Sun Prairie at Fruth Field next week. #1 Seed and undefeated Fond du Lac Cardinals, who won the Valley Football Association-South Conference, meets No. 5 Arrowhead in the second round. The Cardinals defeated the Madison La Follette Lancers 56-14 Friday. The Warhawks, under coach Fritz Rauch, finished third in the Classic Eight with a 6-2 conference and 7-3 overall record. Arrowhead is coming off a 63-21 win against No. 4 Verona.The Warhawks have put up 2,334 rushing yards for 27 touchdowns and 1,476 passing yards for 14 touchdowns. Senior quarterback Nic Wohlfield boasts a 132.6 passer rating, completing 60 of 91 throws for 886 yards, 11 touchdowns and just one interception. Senior Jacob Schleicher leads the team in receiving yards with 32 catches for 384 yards and seven touchdowns. Junior running back Josh Nielsen has a team-high 1,079 rushing yards and 10 rushing touchdowns on 178 carries. Under coach Steve Jorgensen, Fond du Lac has perfected its run game with 3,443 rushing yards for a whopping 53 touchdowns. Senior running back Eben Sauer averages 121 yards per game. He broke through an over-1,000 yard rushing season, carrying 108 times for 1,210 yards and 14 touchdowns. Senior quarterback Carson Raddatz has a team-high 15 rushing touchdowns. He also boasts a 107.9 passer rating, completing 42 of 64 throws for 578 yards and nine touchdowns. The Cardinals, who finished the regular season with an undefeated record and a Valley Football Association-South title, will play the No. 8 Madison La Follette Lancers on Friday. Madison La Follette finished sixth in the Big Eight with some tough losses in the regular season to Madison Memorial, Sun Prairie and Verona. La Follette is coming off a 35-27 loss to Middleton. Fond du Lac has nine passing and 46 rushing touchdowns this season. Its closest win of the season came in Week 1 in a 31-28 victory over Kimberly. Every other game has been decided by three or more touchdowns. Senior QB Carson Raddatz boasts a 119.3 passer rating, completing 40 of 57 throws for eight touchdowns and just three interceptions. Senior running back Eben Sauer completed an over-1,000-yard rushing season with 106 carries for 1,150 yards and 12 touchdowns. The winner of Friday’s matchup will play the winner of No. 5 Arrowhead vs. No. 4 Verona. The Fond du Lac football team defeated Stevens Point 42 – 7 and wins the Valley Football Association – South Championship with a 8-0 record. The 2018 football team is only the 4th team in Fond du Lac football history (Est. 1914 – 105 years) to go undefeated in conference play. The Frosh team lost their first game of the season to Appleton North 26–20 on Thursday. Season record 7 – 1 Great season Frosh !! Outscored opponents 220 – 90. Eben Sauer rushed for 227 yards on 12 carries – scored 3 TD’s rushing and a 46-yard touchdown pass from Carson Raddatz. Carson Raddatz rushed for 167 yards on 14 carries – scored on a 76 yard run. One of the oldest and most familiar sports adages is that playing great defense usually results in winning the ultimate prize. Fond du Lac’s top-ranked football team isn’t anywhere near its final destination for the 2018 season yet, but its defense is looking pretty darn good. The numbers from Friday night bear that out. Nick Asmus’ interception awoke Fond du Lac from a sluggish start and the top-ranked Cardinals erupted for 30 unanswered points in a 30-7 victory over seventh-ranked Appleton North at Paul Engen Field on Friday night. Fond du Lac’s defense simply smothered the potent Lightning offense, holding North to just seven yards rushing in the game. Standout quarterback Carter Robinson completed 24-of-38 passes but threw for only 150 yards and had only one completion longer than 17 yards. Ian Laatsch was limited to minus-2 total yards on 10 offensive touches. The Lightning had forced Fond du Lac into a pair of three-and-outs while taking a 7-0 lead on its first possession. North had driven into Fond du Lac territory on its second possession when Robinson dropped back to pass. The Cardinals’ Hunter Hansen hit Robinson as he threw the ball, popping it into the air where the senior defensive lineman made a leaping catch for the interception and it turned the tide the Cardinals’ way. Over the final five possessions of the first half after the pick, North registered minus-29 yards, lost a fumble and then a kneel down to end the half. Fond du Lac’s offense also came alive as quarterback Carson Raddatz capped a nine-play drive with an 8-yard touchdown run early in the second quarter before Eben Sauer broke free for a 50-yard scoring scamper with just more than a minute to play in the half as the Cardinals took their first lead at 13-7. But Fond du Lac wasn’t done. Robinson fumbled while getting sacked on the ensuing possession with Hunter Thyrion pouncing on the loose ball at the Lightning 11-yard line with 15 seconds left in the half. The Cardinals tried to push the ball into the end zone but settled for a Jared Scheberl 25-yard field goal and a 16-7 halftime advantage. Sauer, who finished with 18 carries for 165 yards, added a 49-yard scoring run in the second half and Raddatz’s 2-yard touchdown flip to Moses Riehl capped the scoring for the Cardinals. RUSHING: FON – Eben Sauer 18-165, Zavier Ellis 7-66, Carson Raddatz 18-57. AN – Patrick Watson 5-19. PASSING: FON – Raddatz 4-8-0-22. AN – Carter Robinson 24-38-2-150. RECEIVING: FON – Hunter Murtha 3-20. AN – Ryan Balck 7-37, Kyle Hammen 6-60, Brooks Ambrosius 5-21. Fond du Lac football coach Steve Jorgensen had a feeling that Jared Scheberl would figure prominently in a team victory this season. Turns out the 6-foot-2, 155-pound senior kicker may have secured the most important victory for Fond du Lac in decades. Scheberl’s 26-yard field goal as time expired lifted the Cardinals to an exhilarating 31-28 victory over Kimberly in a nonconference game at Papermaker Stadium. The kick snapped Kimberly’s 70-game winning streak – the nation’s longest current streak and also gave the Cardinals a measure of revenge on a program that has ousted them from the playoffs three of the last four seasons. Fond du Lac took a 14-0 lead on a touchdown run from Zavier Ellis and a 19-yard touchdown pass from Carson Raddatz to Adam Hopper. Kimberly answered with a 1-yard touchdown run from Will Fischer in the second quarter, but Ellis added a 5-yard touchdown run on Fond du Lac’s next possession. The Papermakers scored right before the half on a fourth-and-6 from their own 35. That’s when Kimberly quarterback Cody Staerkel found Jack Kieffer on a 35-yard touchdown bomb that kept Kimberly within a touchdown heading into the second half, 21-14. Kimberly started the third quarter with a 12-play, 83-yard drive that tied the game when Fischer ran in from 9 yards out for a 21-21 score. Raddatz put Fondy back ahead 28-21 on a 74-yard keeper up the middle midway through the third quarter and the score stayed that way until late in the fourth quarter. Kimberly tied the game on Fischer’s third touchdown of the game, this time from 5 yards out, with 2:59 left. The Papermakers’ drive started at their own 15 when the Kimberly defense forced a turnover on downs when officials ruled the Cardinals didn’t convert on fourth-and-1. Fondy drove toward the winning field goal and Raddatz hit Eben Sauer on a critical 35-yard pass play that got the Cardinals deep into Kimberly territory. Scheberl then converted on the game-winner from 26 yards out two plays later as time expired. The Kimberly football team’s state-record winning streak has come to an end. The Fond du Lac Cardinals, who had come close to beating Kimberly on three occasions in the past few years, beat the Papermakers 31-28 in the season opener Friday in front of an overflow crowd at Papermaker Stadium. Jared Scheberl kicked a 26-yard field goal on the final play of the game to give the Cardinals the victory. The loss ended Kimberly’s winning streak at 70 games and was the first defeat for the Papermakers since they fell to Arrowhead 31-7 in 2012 in a state quarterfinal game. Kimberly had the longest active streak in the nation and was tied for the 13th longest winning streak ever by a high school football team nationally. Over the course of the streak, Kimberly had only seven games decided by seven points or less and three of them were against Fond du Lac, including a 32-29 win in a third-round playoff game in 2016 – the closest game during the streak. During its 70-game winning streak, Kimberly had scored 3,000 points and allowed 906 for an average margin of victory of 43-13. Kimberly entered this season as five-time defending state champions, including the last four in Division 1. The Papermakers beat Sun Prairie 27-7 in last year’s title game, scoring 27 unanswered points after falling behind 7-0 in the first quarter at Camp Randall Stadium in Madison. Kimberly was challenged several times during last year’s regular season, with close victories over Fond du Lac (35-28), Stevens Point (28-18), Neenah (15-8) and Appleton North (38-31). In the season-opener last year, Fond du Lac held the lead into the final minute before Kimberly scored with 44 seconds left to escape Fruth Field with the win streak intact. The Papermakers also rallied from a 42-21 deficit to win the state title 49-42 over Arrowhead in 2015, and bounced back from a 14-0 hole against Franklin to beat the Sabers 29-14 in the 2016 title game. Adam Hopper unleashed a grin that seemed to stretch the entire length of the practice field behind Fond du Lac High School. Yes, he has thought about what a bus ride home from Papermaker Stadium in Kimberly following a win on Friday would be like and the smile Hopper sported when the topic came up was an indication of the belief he and his teammates can accomplish the feat. “We’ve definitely been thinking about the game,” Hopper said following a practice earlier this week. “We’re jacked. I think the whole team is ready just to get out there and play our best.” The Cardinals will take another shot at dethroning the king of high school football in Wisconsin when the two powerhouse teams collide for the fourth time in less than two years in the season-opener at Kimberly. The Papermakers enter the game with the state-record 70-game win streak and five straight state titles, but Fond du Lac certainly has been a thorn in their side. Over the course of the win streak, Kimberly has only had seven games decided by seven points or less and three of them have come against the Cardinals, including a 32-29 win in a third-round playoff game in 2016 – the closest game during the streak. “I think we have a lot of confidence coming into this game,” senior linebacker Ben Viau said. “We’ve worked hard.” Both meetings between the teams last year came down to the fourth quarter as Fond du Lac either held the lead or was tied in the final stanza only to see the Papermakers pull out the win. In the season-opener last year, Fond du Lac held the lead into the final minute before Kimberly scored with 44 seconds left to escape Fruth Field with the win streak intact. “We know what we have to do, we just have to get out there and finish. Don’t lose another fourth-quarter game,” Hopper said. “It’s something we have stressed all offseason – making sure we finish games.” Hopper and Viau help lead a talented, experienced defense that looks to give the Cardinals a strong foundation to build on. The unit allowed only 189 points in 12 games last season, with Kimberly accounting for a third of them (63). Carson Raddatz and Viau at linebacker and safety Drew Bonlander are all returning first-team all-VFA South selections, while the Cardinals boast six players on defense who received some level of all-conference recognition last year. “We have a lot of seniors on the defense and we all just need to play our game and do our best,” Viau said. That experience should help offset a young group of skill-position players on offense for Fond du Lac. How good is Fond du Lac’s offensive line? Having one returning first-team all-conference selection to an offensive line would make any coach smile. Fond du Lac has triple that. Carson Raddatz, Fond du Lac: One of the returning defensive players in the VFA-South from last year will take on an added role for the Cardinals. Quarterback. Raddatz was a unanimous first-team all-VFA selection at linebacker after leading the Cardinals in tackles. He also intercepted three passes – two of which he returned for touchdowns – and recovered two fumbles. Andrew Stone, Fond du Lac: There may not be any easy-to-recognize stats to measure the play of an offensive lineman, but it can be a simple eye test of whether or not a player at that position is good. With the start of the 2018 prep football season swiftly approaching, it’s time to start thinking about which teams will be the powerhouses contending for a trip to Madison in November. 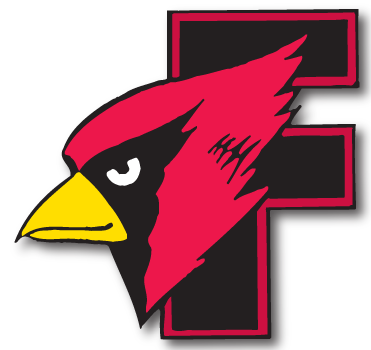 #4 Fond du Lac (9-3, Division 1 state quarterfinals): No team has come closer to ending Kimberly’s record-setting run over the past few years than the Cardinals, and this year may be when Fond du Lac gets over the hump. Although Mike Gnewuch stepped away as head coach after last season, in steps Steve Jorgensen who is a proven winner and had been on Gnewuch’s staff. That means there will be little disruption in what the Cardinals have done over the past few years. Fond du Lac will be anchored by a defense that returns three first-team all-VFA South selections in Ben Viau, Carson Raddatz and Drew Bonlander and an offensive line that features Andrew Stone, Luke Mueller, Joe Schlagenhaft and Riley Neal. The Cardinals have to replace starting quarterback Jack Cole, leading rusher Colton Wasieleski and their whole group of receivers but should get speedy running back Eben Sauer back from injury to help spark the offense. He might have been the linebacker of the year in the FVA-South if not for Eiden. The 6-3, 205-pound Viau was a unanimous first-team all-conference pick and teamed with Carson Raddatz (linebacker) and Andrew Stone (defensive lineman) to help form a strong defensive core. All three are back this season. “I mean, the dude works hard,” Eiden said of Viau. “I know that 2019 class at Fondy is nothing to mess around with. But at the end of the day, I just focus on myself and my teammates.